Sure, backyards are fine for summer fun. But why not step up your kids’ summer with treehouses, hot air balloons, and a little bit of history? Just two hours away in central Indiana, Conner Prairie gives you and your kids an opportunity to reconnect with the outdoors while exploring the history of the area. 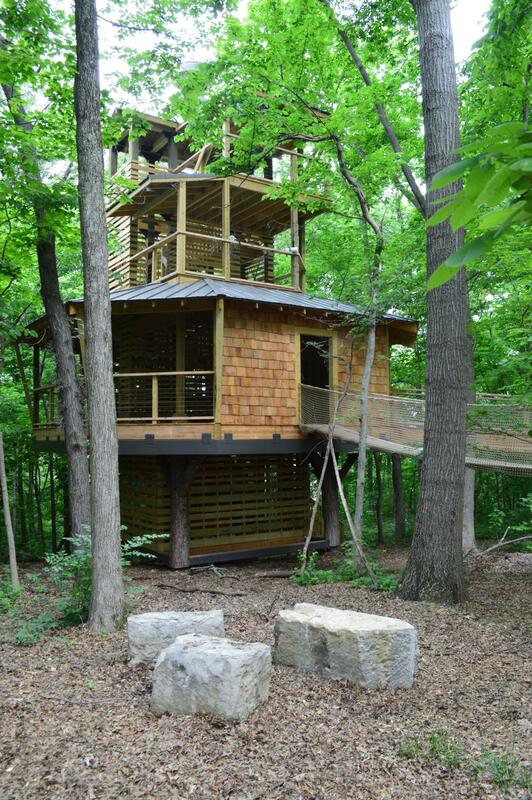 Feel like the Swiss family Robinson for a day at this four-story treehouse. Situated in Conner Prairie Interactive History Park, this new attraction is meant help families engage with nature. After exploring the tree tops in the 6,000-square-foot treehouse, crossing a suspension bridge high above the forest floor, and viewing the White River from atop the 45-foot treehouse, kids are encouraged to dig in a re-created archaeology site, build log cabins, and create art and music in areas surrounding the Treetop Outpost. Go back in time at this immersive 19th-century town where everything from the costumes to the tools are just like they would have been back in 1836. Based on life in the area, the town allows kids to try their hand at games like stick and hoop, ninepin, and even walking on stilts. The buildings serve as interactive school houses, shops, and craftsmen’s workshops. In them you will find blacksmiths at work, housewives baking pies, and you can even have a school lesson in a traditional one-room schoolhouse. 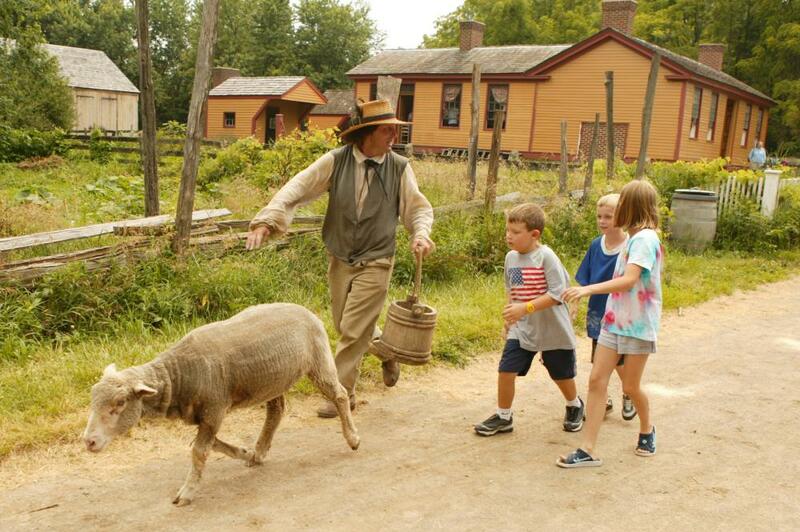 The completely interactive town allows visitors to become a part of the town, help with chores, and explore what life would have been like almost 200 years ago. 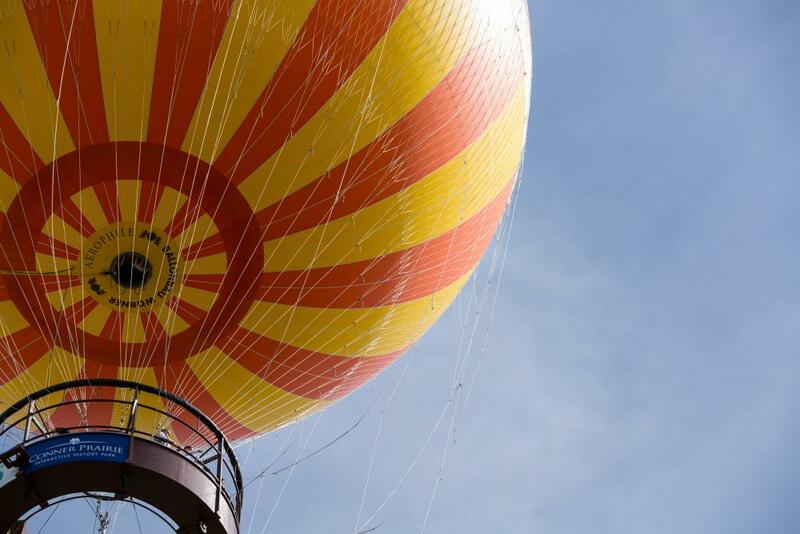 This helium-filled balloon will take you up over 300 feet. Up to 20 people can fit in the balloon, which spends about 15 minutes in the air. The balloon is an homage to the first manned hot air balloon flight, which took place in 1859 in Lafayette, Indiana. The 1859 flight was supposed to make it to New York, but this 100-foot tall balloon is tethered to the ground, so fear not that you’ll float that far. On clear days, a balloon ride provides views of downtown Indianapolis (more than 20 miles away), the nearby White River, and the sprawling forests and farmlands of Indiana. Previous articleJoey Votto is not an All-Star. But he is the best Reds hitter. Ever.